CD Review: Five Plus Six "Such Sweet Thunder"
Jazz is alive and well in all parts of the USA. Most of the new Jazz CDs I am asked to review, especially big bands are either the West Coast or the East Coast. However, Vance Thompson's new Jazz band, Five Plus Six direct from Knoxville, Tennessee proves that great Jazz is being creative all over the USA. Vance Thompson is an outstanding Jazz Trumpet player, and he has provided some sensational arrangements of classic Jazz composition from the masters of Jazz: Thelonious Monk, Billy Strayhorn and Duke Ellington. And believe it or not Vance has arranged a gem from the musical pen of Dolly Parton that would knock Dolly off her chair, "Little Sparrow". The heart of this new eleven-piece band combines Vance Thompson's core quintet with six additional horns. The additional horn players while younger musicians, play with seasoned musicianship and add a noticeable excitement to the overall big band sound. Five Plus Six has produced a terrific Jazz product and would thrill anyone who loves the big band Jazz sound. As a side-note, this CD was made possible through a fund raising project done in coordination with the site, "Pledgemusic.com". Its great that we have so many sites now where musicians can get financial support to record new CDs that benefit all music lovers. The world is a better place because musicians like Vance Thompson can share their creative talents with us. Vance Thompson- Trumpet & Flugel and all arrangement except "Four in One". I found a "YouTube" of Five Plus Six playing "Rockin In Rhythm" that is guaranteed to make you feel good! CD Review: Barbara Rose "Christmas CD"
The talented and beautiful Barbara Rose has produced a new "Christmas" CD, and it's what you expect from Barbara. It's amazingly good! 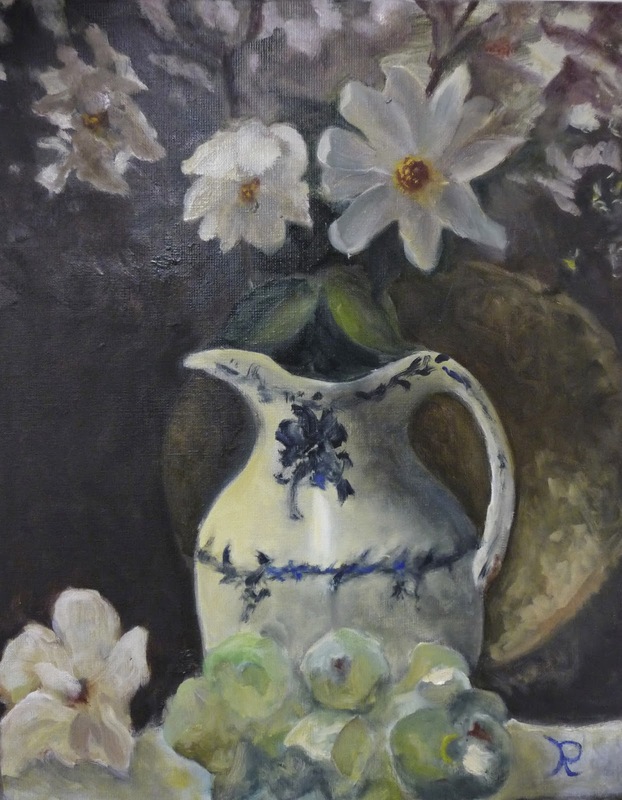 Barbara Rose's talent is hard to properly describe. She began her musical life at age 3, attended Julliard and graduated at the age of 10. By the time she was 17, she was playing and singing in the top night spots in New York City, like The St. Regis Hotel, The Oak Room at the Plaza Hotel, Peacock Alley at TheWaldorf-Astoria Hotel and Tavern on the Green. Currently, Barbara entertains a large following of fans at the Molly Pitcher Inn in Red Bank, NJ usually on Thursday, Friday, Saturday and Sunday for brunch. Barbara is very much in demand, so if you want to see her, be sure to call ahead to make sure she is appearing. Barbara plays and sings all styles of music from Classic to American Jazz. She is also a fine composer and does all her own arrangements which are always unique and beautiful. Her "Christmas" CD must be heard by everyone who loves the historical music of Christmas. I have attached two YouTube videos I found I am sure you will love. The first is Barbara's arrangement of "Carol of the Bells of Christmas Medley" and the second, "Dear Santa" is a tribute to our troops that Barbara wrote, arranged and performed. 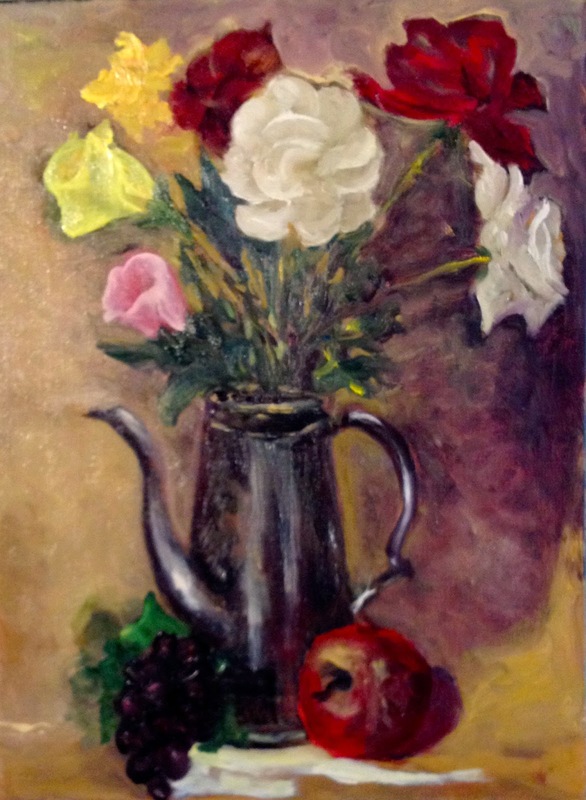 Barbara says "I was inspired in 2001 by her prayers for peace and especially in tribute to our troops during the holidays, who continue to fight for freedom in the world. Barbara Rose Playing "Carol of the Bells, Christmas Medley"
On Sunday November 30, I received my first Christmas present. I got tickets to see Keith Jarrett, Gary Peacock and Jack DeJohnette perform live at NJPAC in Newark, NJ. I never saw Keith in person, and I had very high expectations. I can only say that my high expectations were exceeded with not only Keith but also the performance of Keith's partners of over 30 years, Gary Peacock and Jack DeJohnette. NJPAC had advertised the concert as "Jazz Geniuses in Concert", and they captured the happening perfectly! The audience consisted of a mix of ages, from early 20's to some who were in their 80's. What I found as remarkable was the absolute respect the entire audience held for Keith and his remarkable side men. Every time Keith approached the piano, there was total silence in a room packed with an overflow of Jazz lovers. I have never experience this respectful tribute to any other Jazz musician I have heard live. Keith Jarrett is universally recognized as one of the most creative improvisers of Jazz Piano. His brilliance is aided by his Classical educational which brings improvised Jazz to wonderful heights that elevate his listeners to Jazz heaven. The word genius is overused at lot especially in the music world, but there is no better word that describes the music Keith creates! Performing tonight with Keith were two other musical giants, Gary Peacock and Jack DeJohnette. Gary Peacock is still playing world-class Bass at the highest level at 79 years of age and still supports Keith's improvisations like he was his twin brother. Supporting a genius Jazz piano player like Keith is, in my opinion, one of the most difficult assignments for even the most talented high-level professional musician. Keith travels his own path through some of the greatest standards ever written; and, therefore, nothing for Gary or Jack is on automatic pilot. Gary's solos were a perfect compliment for Keith's emotional renditions of classic songs, like "I Fall In Love Too Easily". Jack DeJohnette is a remarkable drummer. He is one of the greatest drummers in Jazz history and hearing him support Keith and Jack leaves the listener with no doubt of his brilliance. Jack proves that there is so much more to playing Drums that simply loudly keeping time. He is a student of sounds and uses his percussion instruments like a scientist working in a lab constantly looking for even the slightest variations of sounds to support the construction of this trio's wonderful music. The trio is touring and I recommend that you make every effort to see them if they get close to where you live. To hear this group live is a Jazz experience of a lifetime! I found a "YouTube" that I have attached below to remind you of the brilliance of Keith Jarrett, Gary Peacock and Jack DeJohnette. This "YouTube" was recorded live in 1993. Keith Jarret, Gary Peacock and Jack DeJohnette "I Fall In Love Too Easily"
The Music Man Blog celebrated its 5th birthday and it's time to review its progress. Over the past 12 months, I have met some of the finest musicians in the world, and have been exposed to great talents by way of the CDs that I have reviewed. The best part of writing this blog is the exposure to brilliant musicians who continue the American tradition of leading the world in the creation of exciting and creative music. You may have noticed that there has never been a bad review of a live performance or a CD posted on this blog. The reason for this is I don't see my role as a critic but more as a supporter of music. If I don't really care for a CD or a live performance, I just don't post a review. I will leave that job to the professional music critics. Everyone knows that the music business is in flux today. It has to find the correct path that will provide musicians with the public forum they need for exposure and the generation of income to support their families. I believe it will come sooner rather than later because life without music, both live and recorded, would be a terrible place to live! So I will continue to do my part to get the word out to music lovers all over the globe. Over the past 12 months, the Music Man Blog had a total of 67,925 page views by unknown music lovers in over 20 countries throughout the world. After 5 years of publication, we have had total page views of 264,840. It was a very busy year with 56 new blogs published. I want to personally thank all the supporters of great American music and the "Music Man Blog" for their strong support over the years. Our blog has a proven track record increasing the support of live music and also helping to give exposure and sales to musicians and their newly published CDs. Warmest Regards, Bob Nicosia, publisher of the "Music Man Blog". CD Review: Carol McCartney "Be Cool"
Carol McCartney was born and raised in North Toronto, Canada and she has just released her second CD, "Be Cool". Normally when I do a review of a new Jazz singer, I have to play the CD several times to feel the emotions of the vocalist, the musical arrangements and the quality of the supporting musicians. This was not the case for "Be Cool". Carol McCartney has a pure, strong voice and sings lyrics like she is telling her own life story. She projects a comfortable, relaxed attitude which when combined with her perfect pitch, captures the listener who becomes totally spellbound with the lyrics and melodies. Sometimes when you listen to a Jazz singer, the recording clearly projects a singer singing with a Jazz band. When you listen to Carol singing, her voice and the band merge and become one. The results are spectacular for any Jazz lover! Carol is very well known throughout Canada and Internationally. She has performed at many Canadian and International Jazz festivals. She is also a noted Jazz educator, teaching Vocal Jazz at the University level in Canada. She is multi-talented, helped mix the songs and was the Producer for this wonderful CD. The songs selected for this CD are a great blend of standards, some of which you don't hear very often and yet, all the songs flow together perfectly. I must mention the arrangers of the songs on this CD because each arrangement is outstanding. Pianist Brian Dickinson arranged the title track, "Be Cool" and also "I'm Old Fashioned", "For Heaven Sake", "West Coast Blues", "Almost Twelve" and "More Than You Know". Rick Wilkins the multi-talented composer, arranger and Sax player did the arrangements for "Tulip or Turnip", "Ev'rything I've Got (Belongs to You)" and "Solitary Moon". Paul Keller did "Just You, Just Me". Brian Wray did the arrangement for "S'Wonderful" and Carol McCartney wrote a wonderful arrangement for "Yesterdays". One of the major characteristics of all great Jazz singers is they understand the value of singing with a great cast of supporting musicians. Gathering great musicians to support a singer is only half the job; the other half ,which is just as important, is to have supporting musicians that fit the singers style, voice and material. Carol has mastered this requirement perfectly. The musicians playing alongside Carol on this CD are nothing short of outstanding. Each musician is a seasoned pro, and the result has produced what I believe should be a "Grammy" nominated Jazz CD. I especially want to mention the brilliant contribution from Brian Dickinson's Piano playing! I found a Youtube of Carol singing "These Foolish Things" that I know you will enjoy. Carol McCartney Singing "These Foolish Things"
CD Review: Cat Conner "Cat House"
Jazz Vocalist Cat Conner has released a new CD that all lovers of Jazz singing need to acquire. I was not familiar with Cat Conner until I received the new new CD with a request to review it. The first thing that got my attention was the playlist of songs Cat had picked for this CD. She includes an in-depth explanation of why each song was chosen which also explains why she sings with such a great understanding of the lyrics. Each song links to a part of Cat's life experience both from the past to present day. A lot of serious thinking was done by Cat to develop this playlist and the results will please anyone that loves a singer who understands how to transform words into an emotional experience for the listener. Cat has a wonderful voice and performs perfectly whether a swing song, ballad, blues or Latin groove. She is simply a seasoned and skilled professional Jazz singer! 1. "Everything I Love/Everything I Desire" 2. "Handsome Man"
3. "Sans Souci" 4. "Giant Steps"
5. "Throw Me Away" 6. "Remind Me"
7. "Baltimore Oriole" 8. "Heart's Desire"
9. "Wishing On The Moon" 10. "You're Driving Me Crazy"
11. "Come On Strong" 11. " Come On Strong"
12. "What a Little Moonlight Can Do" 13. "People Say"
I also want to add that I was delighted to find that Palm Springs resident, Michael Dees, has one of his great songs on this CD, "Throw Me Away". Michael is a wonderful singer and even better songwriter whose lyrics are always new, clever and deliver an emotional message. You can hear the songs on this new CD by going to Cap's Website: www.catconner.com. Ben Webster was one of the most influential American Jazz Tenor Sax players and a member of the most important "Swing Tenors" group that included Coleman Hawkins and Lester Young. His tone was considered tough and raspy, but I always loved the way he played with warmth on ballads. He really made his mark playing with the Duke Ellington Orchestra starting in 1935 and lasting until 1943. After leaving the Ellington band because of a bitter run-in with Duke, Ben played gigs in New York City for several years. Then in 1953, he recorded "The King of Tenors" with the great Oscar Peterson which solidified his Jazz status as one of the Great American Jazz giants. In the 1950's Ben formed a quintet with Gerry Mulligan and frequently played in the LA area at a club called "Renaissance". In 1964, he moved to Europe permanently to join other American Jazz musicians and continued to perform there until his death in 1973. 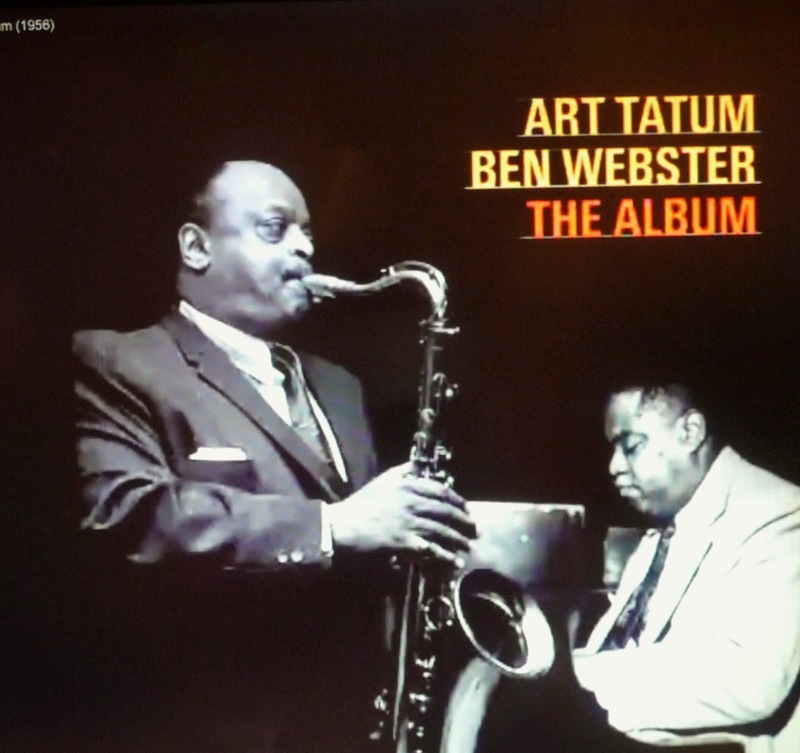 For your listening enjoyment, I have attached three terrific "Youtube" videos highlighting the great talents of Ben Webster especially on ballads. "When I Fall In Love" from the album "Ben Webster For Lovers"
"Blue Moon" From Album "Ben Webster With Strings"
CD Review: Mark Meadows "Something' Good"
Mark Meadows' new album, "Somethin' Good" could also have been titled "Somethin' Cool". This Cd highlights Jazz at its best! Mark is not only a talented Jazz pianist but has also mastered the art of composing, educating and putting a great band together. Mark is not a casual musician, he is a student and now a teacher of Jazz Piano at the Peabody Conservatory where he recently completed his Graduate Performance Degree in Jazz Piano. Mark started playing the keys when he was only three years old. He has not stopped playing since or studying his trade. In 2011, Mark earned degrees in Jazz Piano from The Peabody Conservatory and a Bachelor of Arts in psychology from The John Hopkins University. I was not only impressed by his suburb, creatively-interesting piano playing but also his composing and arranging talents. Most of the songs on this CD were written by Mark, and he produced a wonderful fresh and new arrangement for all songs including "Come Together" the Lennon-McCartney gem. The arrangement of this song while true to its "root" construction allows it to be re-born into a great new Jazz piece. Mark brings similar great new arrangements to "Rock With You" by Rod Temperton, "Groovin' High" by Dizzy Gillespie and the great Ellington classic, "Lush Life". The supporting cast that Mark has gathered for this CD is of the highest level of musicianship. As a past Alto Sax player, I was especially impressed by the contribution from Brent Birckhead in particular. Joining Brent and also contributing wonderful sounds was Paul Bollenback, Guitar, Warren Wolf, Vibes, Christine Dashiell, vocals, Lean Seikaly, vocals, Eric Kennedy, Drums and Eric Wheeler, Bass. I found a "YouTube" of Mark playing his own composition "Somethin' Good" that I have attached. 1. "Come Together" 2. "Just Imagine"
3. "Rock With You" 4. "Somethin Good"
5. "Once Upon A Purple Night" 6. "Less Catchy"
7. "Way Up Here" 8. "For You"
9. "Groovin' High" 10. "Get Lost"
CD Review: Isabel Stover "Her Own Sweet World"
"Jazz is my go-to music, my comfort food" says Isabel Stover. "As vocal artists there is a need to bear our souls to the world, but at the same time make our music accessible to people. Which is why all these other musical influences that I bring to the table must inform what I do, from my choice in songs to how I sing a particular lyric". These words explain perfectly how Isabel Stover created her beautiful new CD, "Her Own Sweet World". Combining her rich and clear voice and marvelous arrangements of tasteful Jazz standards, Isabel has accomplished her singing goals as listed above. Isabel is a seasoned vocalist who has become one of the best Jazz singers on the music scene today. Isabel's pop influences include Bonnie Raitt, Norah Jones and Lyle Lovett, not a bad group to emulate! Her rich voice has been compared to Jazz artists, Jane Monheit and Diana Krall. If you love listening to seasoned brilliant Jazz singing, this is the CD for you! Isabel has been performing in the Boston area and worth the effort to go to hear her sing. Supporting Isabel on this CD are: Jonathan Alford, Piano, Fred Randolph, Bass, Dave Tidball, Saxophone and Dave Bell, Guitar. 2. "Softly As In A Morning Sunrise"
3. "Never Let Me Go"
5 "Lovin' In My Baby's Eyes"
7. "The Song Is You"
I was recently introduced to an interesting new music site called: "Unsigned Only Music". I know that a lot of the followers of "The Music Man Blog" are composers and would have an interest in this site which supports talented songwriters. Unsigned Only is a unique music competition designed for solo artists, bands, and singers all over the world who are not signed to a major label record company or any of its affiliates, subsidiaries or imprints. The goal of Unsigned Only is to find an outstanding, talented performer: a band, singer, or solo artist...a newcomer or veteran...raw or polished - the “gem” that needs to be discovered. Unsigned Only is looking for the total package. Conceived and produced by the team who bring you the prestigious International Songwriting Competition (ISC), Unsigned Only is a fresh and novel approach to other music competitions. Yes, it offers great prizes, recognition, exposure, and the chance to be heard by a group of judges consisting of high-profile recording artists and industry professionals. But, Unsigned Only also takes it a step further and puts the Grand Prize winner in direct, personal contact with the influential record label executives who are the ultimate decision-makers. For the first time ever, a music competition offers the Grand Prize winner the unprecedented opportunity to be mentored by a group of record company presidents, A&R reps, and more. This is a once-in-a-lifetime chance to directly network with the top echelon of record company professionals and get guidance, advice, feedback, and networking opportunities. Mentors include: Monte Lipman (Chairman and CEO, Republic Records); Jeff Castelaz (President, Elektra Records); Seymour Stein (Chairman, SIRE Records and VP of Warner Bros Records); Pete Ganbarg (Executive VP/Head of A&R, Atlantic Records); Mike Elizondo (Sr. VP of A&R, Warner Bros. Records); Tony Kiewel (VP of A&R Sub Pop Records, Hardly Art, Sub Pop Publishing); Allison B. Jones (VP of A&R, Big Machine Label Group); Josh Bailey (Sr. VP of A&R, Word Label Group); Kim Stephens (President, Forward Entertainment and A&R/Capitol Music Group); Lenny Santiago (VP of A&R, Roc Nation); Dino Paredes (Sr. VP of A&R/GM, American Recordings); Evan Peters (Director of A&R, Virgin Records); Anthony Musiala (Managing Director, Minty Fresh); and more to be announced. The winners of this songwriting competition have just been announced and you can get to the list of winners and actually hear some of their songs at:(http://www.unsignedonly.com/winners. CD Review: Julie Kelly "Happy To Be"
My first listening introduction to Julie Kelly was by way of her new CD "Happy To Be". After listening to just the first few songs, it became clear why Julie is one of the most respected Jazz singers on the West Coast. If anyone ever asks you to define Jazz singing, save your time and theirs by simply telling them to listen to Julie Kelly and her CD "Happy To Be". Julie's pure warm voice has a sensibility to melody and lyric that's very rare. Her selection of songs on this CD reinforces her perfect taste in the best in melody and her wonderful lyric writing abilities. She wrote the lyrics for two songs on the CD, "The Blues According to Orpheus" and "For Joni". 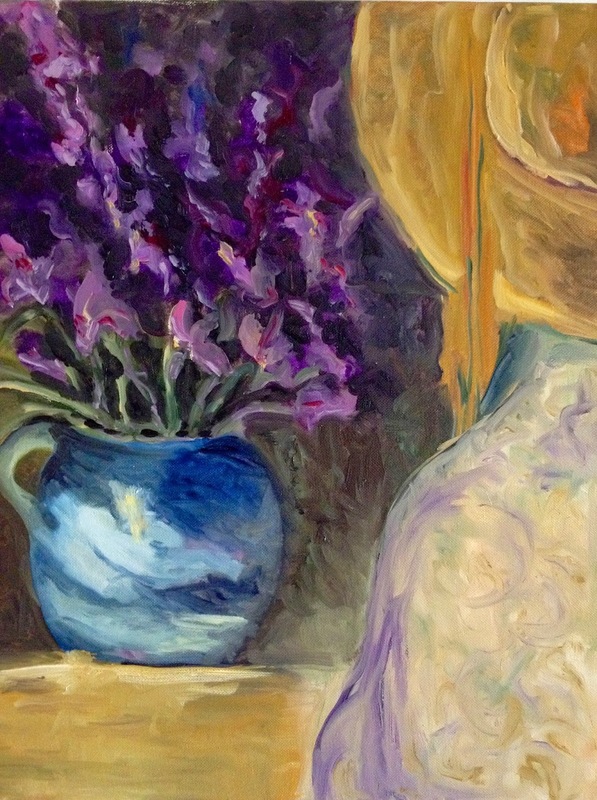 "For Joni" began as a poem she wrote for Joni Mitchell. Tierney Sutton the marvelous Jazz singer in her own right calls this tune nothing less than a "gorgeous anthem" to all who love Joni Mitchell. One of the essential talents that all Jazz singers need to develop is the ability to pick the best musicians who will lift the singer to higher levels. The musicians Julie has selected to support her on this CD are spectacular! Bill Cunliffe has worked with Julie on other projects and is a widely respected pianist and Grammy Award-winning arranger, Anthony Wilson the outstanding guitarist who works with only the best musicians including Diana Krall, Tom Warrington known as one of the best Bass players in the country, world-class Drummer Joe LaBarbera who worked with Bill Evans for years and a Horn section comprised of A-list players including Bob Sheppard, Clay Jenkins, Ron Stout and Bob McChesney. Also, there is an additional contribution made by the following fine musicians: Walter Rodriguez, Percussion, Kim Richmand, Saxophone and on Vibes the "superb" Nick Mancini. Julie Kelly has given the Jazz world a wonderful gift of great music that validates that Jazz singing still has a special place in today's music scene! I have attached a "You-Tube" video of Julie singing "You're The Dangerous Type" from her CD "Happy To Be". "Solitary Moon" is a major league tribute to one of the best composers of Jazz, Pop and Film Music, Johnny Mandel. He has long been recognized within the music industry as one of its creative giants yet, it has always been my belief that Johnny Mandel has never received the deserved level of credit from the music public. But make no mistake about it, the multitalented Mandel is equal to the best songwriters and musicians of the past 100 years. This CD starts with a tribute to Johnny Mandel, but that is not where the magic ends. Ginger Berglund and Scott Whitfield could have recorded this CD with just the two of them, and I know this CD would have been terrific. However, Ginger and Scott chose to bring along some of the most respected musicians performing on the Jazz scene today. The result is a musical product that is close to perfection music and a musical treat for the ears. Ginger Berglund has a sterling resume of work as a vocalist including recording with Steve Allen and the great pianist Paul Smith. She has sung with Kenny Rankin and the great Brazilian Jazz vocalist Flora Purim and her husband, the premiere fusion Jazz Percussionist Airto Moreira. Ginger still performs with the Stan Kenton Alumni Band, The Modernaires, The Tracy Wells Big Band and the Jumpin' Joz Band. Scott Whitfield is a world class Trombonist, Arranger and Singer. 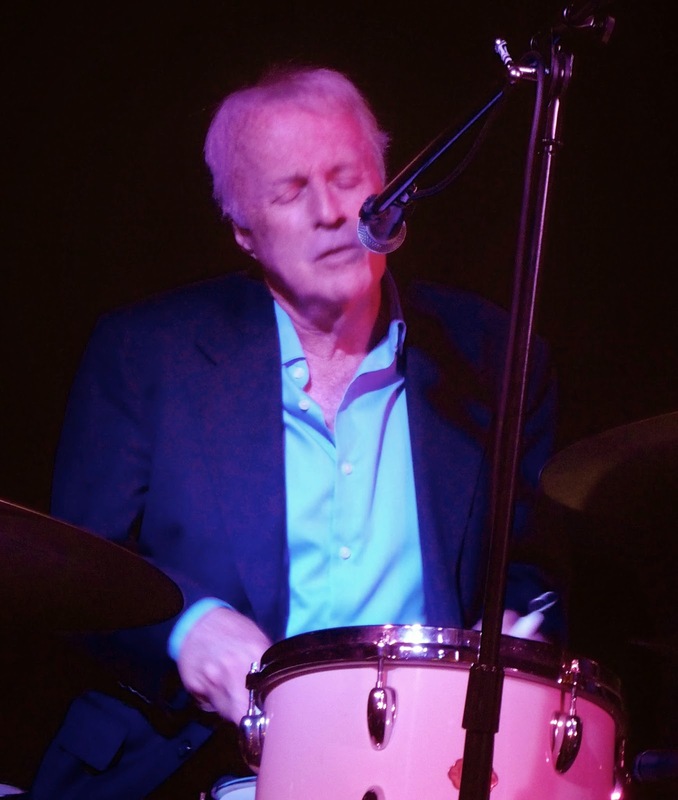 He is internationally recognized for his work with many contemporary big bands, including the Toshiko Akiyoshi Jazz Orchestra, The Clare Fischer Bib Band, The Bill Holman Band, The Phil Norman Tentet and his own Scott Whitfield Jazz Orchestra. Whitfield also plays trombone for the Johnny Mandel Orchestra. Ginger and Scott chose 15 tracks for this CD and Whitfield did all the arrangement from big band to small group, from vocal duets to a cappella five-part harmony. Singing together they treat us with beautiful Mandel melodies and perfect harmonies that you will seldom hear today. They are perfect singing together! Both Berglund and Whitfield are also members of the Modernaires, the legendary vocal group that performed in the 1940's for The Glenn Miller Band. Whitman is also a member of the LAVA (Los Angeles Vocal Alliance), a new vocal group of brass players who sing in four-part harmony. They make their recording debut on Whitfield's version of the Mandel classic, "Emily". I can't end this review without listing the superb list of musicians that contributed to this wonderful CD. I am sure that you will know many of them from their past work. Thank you Ginger and Scott for sharing your wonderful musical talents with us! I have attached a "YouTube" video of Ginger and Scott singing the first cut from "Solitary Moon" "Cinnamon & Clove". CD Review: Murali Coryell "Restless Mind"
Murali Coryell, a contemporary soul-blues singer/guitarist and songwriter released a new, terrific CD "Restless Minds" on August 19, 2014. I published a review of Coryell's last CD "Live" on this site on 1/10/2013. This new CD is another gem! If you are a Blues and Jazz fan, Murali Coryell is your guy. He continues to impress not only with his Guitar playing but with his soulful singing ability that matches his Guitar playing perfectly. "Restless Mind" features 11 original songs written by Coryell and a great cover of Marvin Gaye's classic "Let's Get It On". Murali Coryell has truly arrived as one of the great contemporary soul-blues singer/guitar players. He has paid his dues over many years honing his trade, but his last two CDs prove that he has truly arrived to the forefront of soulful Blues performing today. The group of musicians that Coryell has put together for this CD are outstanding in their own right. Ernie Durawa on Drums, Chris Alcaraz on Bass, Joe Morales on Saxophone and Jimmy Shortell on Trumpet. If you love the Blues, you need to get this CD for your collection. 1. "Waiting and Wasting Away"
7. "I Can't Give You Up"
9. "I Need Someone To Love"
11. "Everyday is a Struggle"
12. "Let's Get It On"
I have attached a "YouTube" video of Coryell singing "Crime of Opportunity" one of the original songs he wrote for "Restless Mind". CD Review: Frank DiSalvo "All Things Are Possible for Those Who Believe"
Over the past few years Frank DiSalvo has quickly become one of the most popular and loved entertainers performing in the Coachella Valley. When I first played this CD, I was surprised by the great arrangements but not by the outstanding singing. Frank has always been a great voice, but I think the quality of his singing on this CD is exceptionally good. In spite of the huge amount of success and following Frank has developed, he has never stopped working to improve his trade. The sounds on this CD prove that all of Frank's efforts have brought him to a much higher level as a singer. "All Things Are Possible for Those Who Believe" is a "feel good" CD that is guaranteed to lift your spirits and appeal to your patriotism! The songs represent Frank's personality and his beliefs and the spirit within these songs is contagious. I have to admit that after years of following Frank's career, it is so satisfying to see the development of his singing skills. Frank has always been a talented performer, but the release of this CD proves that he has truly arrived as a major league singer! If you would like to buy a copy, just go to Frank's website: frankdisalvo.com and send Frank an email and he will give you the details. 1. "You Raise Me Up"
2. "Wind Beneath My Wings"
7. "God Bless The USA"
9. "I Come Back To You Again"
CD Review: Kenny Lavender's "Conscious Journey Part 1 & 2"
There is a great, new big band in town put together under the leadership of multi-talented Trumpet player, Kenny Lavender. He has built a 17 piece band using some of the finest players on the New York scene. Kenny produced and arranged the 11 songs on this double CD and composed 8 of the songs. The sounds from this band are "hip", and, yet the ties to the great big bands of the past are very visible. As I listened to the cuts, the sounds evoked memories of the great Maynard Ferguson band, Woody Herman and Jack Sheldon bands. The sounds are crisp, new and, yet, comfortably familiar all at the same time. The arrangements are superb! This CD is a wonderful showcase for not only Kenny Lavender but also for the sparkling solos from the major league supporting musicians. Lavender named the CD "Conscious Journey" because the songs he wrote reflect the different stages of life he has traveled, "from falling in love with my wife to dealing with addiction and a lot in between". Because the solos on the album are so remarkably good, I listed the soloists for each song below. I thought you would want to know because I did. Those of us who love the big band sound will be delighted to listen to this CD. We don't get too many opportunities to hear new big bands these days, and if you only listen to one this year, this is the one to get. I have attached 5 minute YouTube video previewing the songs from this CD. When I received my review copy of "The Loudermilks", I played it once and then lost it in another pile of reviews. Several weeks later, this CD was still in my mind. So I played it again and loved their music more than the first time I heard it. The 10 original songs on this CD were written by Alan and Chad Edwards, "The Edwards Brothers". This CD is country soft rock at its best! The song writing is terrific and fresh. The melodies are honest and straight forward. Alan and Chad both play guitar on this CD and Alan also plays mandolin on cuts 4 & !0. But in my opinion, the real magic on this CD is produced by the vocal harmonies of Alan and Chad. The harmonies from these two brothers are seldom heard in music today. Every time I hear them sing, it brings back warm and positive memories of Don and Phil Everly. If you like country pop, you will love the songs, the music, the harmonies and the strong melodies of this "winner" CD. I have attached a video from "YouTube" of Alan and Chad Edwards and The Loudermilks" playing the first cut from the new CD, "Watch 'Em Fall". "Listen To "Watch 'Em Fall" From "The Loudermilks"
Billy Strayhorn is well known to any lover of Classic American music. He is remembered by many for his collaborations with Duke Ellington which at times tend to put him in the shadow of "The Duke". However, many music historians credit Strayhorn for much of the inspiration that Ellington turned into some of the greatest American songs ever recorded. 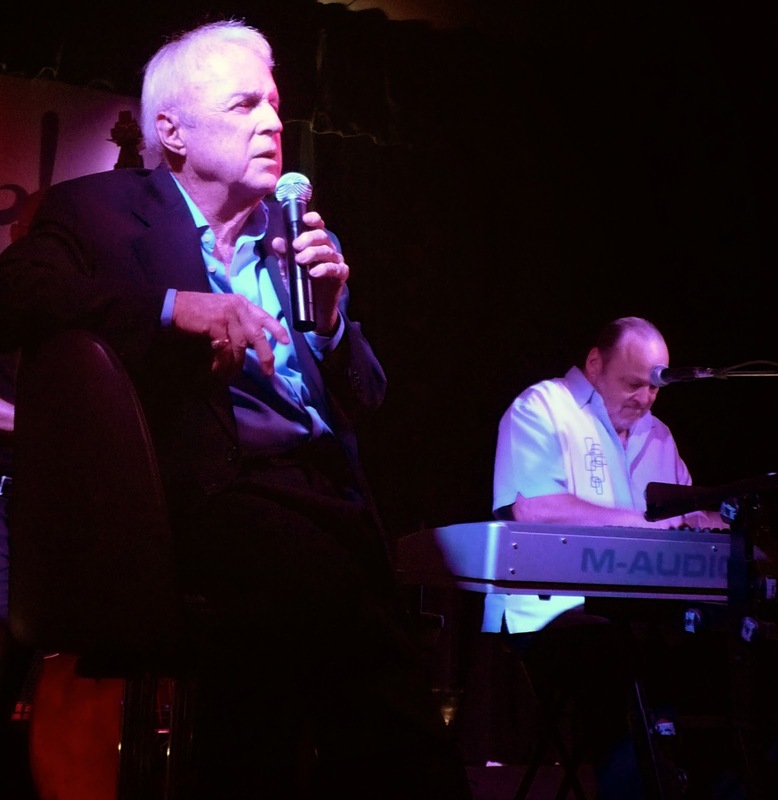 Joe LoCascio, a marvelously talented Pianist, did extensive research into some of the lesser known songs in the Billy Strayhorn songbook and selected 9 of his gems! There is genius in song writing and Billy Strayhorn is certainly in that class. Even the lesser known songs stand up perfectly to the test of time. They are brilliantly written and sound new even more than 50 years after Strayhorn wrote them. Joining Joe LoCascio on this CD is the very talented Saxophonist Woody Witt. Woody plays Tenor, Alto and Soprano Saxophones on this beautiful CD and the chemistry between Woody and Joe is remarkable. The level of improvisation from both of these world-class musicians is thrilling. Even better is that they improvise with a closeness you would only expect from brothers. The result is they have given life to the Strayhorn masterpieces they have chosen for this CD. The music is new, soft and sensitive. Exactly what you would expect from the brilliant song writing of Billy Strayhorn. The CD was mixed and mastered by Blue Bamboo Music. Chris Cortez was the executive producer and did wonderful job overseeing the recording and mix of this CD. This CD is really good, and I highly recommend that you pick up a copy. I have attached a video from Facebook of Joe and Woody playing the first cut from the album, "My Little Brown Book". Judy Wolman is one of the most-well liked people in the music industry. She is not only a caring person, she is also one of the best pianist playing today. Judy is a women of remarkable talents and is the Founder and Artistic Director of "Sing! Sing! Sing! ", a non-profit organization that features a small group of rehearsed singers who joyfully ease the audience into singing "All the songs you love to sing". Audiences love the experience! Everyone is given lyric sheets and each song is introduced with a brief and entertaining commentary. 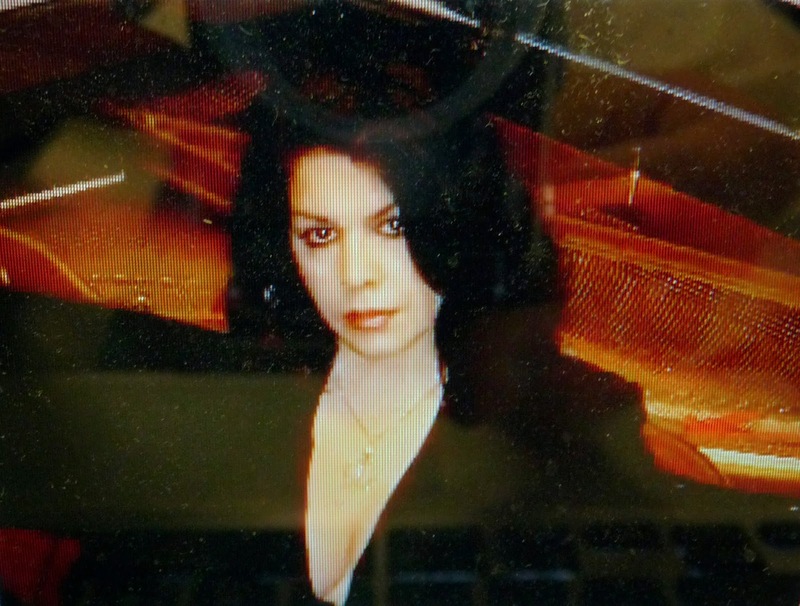 Judy is a classically trained pianist with a degree in Music from Washington University in St. Louis and has taught vocal music and music appreciation in public and private schools. After she moved to Los Angeles, she joined the Gregg Smith Singers, a professional, classical choral group and spent 10 years touring and recording with them. Judy has sung in films and television including "Empire of the Sun", "Jurassic Park" and "The Incredible Hulk". Judy has a deep love for the songs in the "Great American Songbook". She always plays them with complete love and inspiration. 1. "Here's That Rainy Day"
4. "All The Things You Are"
7. "I Can't Get Started"
8. "You Must Believe in Spring"
I started playing Alto Sax when I was in 3rd grade, but it wasn't until 8th grade when I fell in love with the sound of the Baritone Sax. That's when I discovered Gerry Mulligan and the magic he was able to produce with his Baritone Sax. I never had much success in creating a pleasing tone from my Baritone Sax which only increased my desire to hear anyone that could make this giant Saxophone sing! Over the years, there have been few Jazz Bari Sax players that have caught my interest until I heard Adam Schroeder on his new CD, "Let's". Adam Schroeder produces a remarkably rich tone when combined with his amazing dexterity (on this big horn) and brings the listener to musical heaven. His ability to produce rich lows and soar to exciting highs from his Bari Sax are so good that at times the listener might forget these sounds are coming out of a Baritone Sax! In picking the songs for this album, Adam wrote 5 out of the 11 songs. The remaining 6 songs were selected by Adam using Melodies as his criteria. "Each of the songs written by others had to have the great melodies first and foremost. These are tunes that make you smile when you first hear them, and then reveal their compositional and harmonic depth the more you listen to them. They also offer vast freedom of expression for everyone to improvise on." Adam has been able to put together what I think is the "Dream Team" of supporting musicians for this CD. Starting with Anthony Wilson on Guitar, John Clayton on Bass and Jeff Hamilton on Drums. I first discovered this group of fabulous Jazz players when they backed Diana Krall on her "Live in Paris" album. This album is still one of the best Jazz standards album I have ever heard. As they like to say on the PGA Tour, "These guys are good"! The solos from this trio of world-class musicians are wonderful. They all have a way of improvising that is new and refreshing. The listener can hear every single note they play and yet they are always part of the supporting group even though each one of them could take the lead any time. This CD will be release on June 17 on Capri Records. Make the effort to get this CD; it will be a keeper for your Jazz collection for many years to come. I found a cut from the CD on YouTube and would like to share it with you. Attached below is Adam Schroeder Playing his own composition from his new CD "Let's". The song is titled: " A Hawkeye, A Hoosier and Two Cali Cats". Great Music! Ron Aprea, composer, arranger, producer, saxophonist, clarinetist and flutist is working on a new CD, "Lennon and the Beatles, A Jazz Tribute". In 1974, Ron cut a album with John Lennon and Elton John called "Walls and Bridges". Also recording with Ron on this album was a super-talented horn section that included Howard Johnson, Frank Vicari and Palm Desert favorite, Steve Madaio. Ron is raising money to produce this new Lennon Tribute album using the Kickstarter site. I know everyone will be interested to hear Ron tell some interesting stories about the making of this album and his experiences with John Lennon in recording the "Walls and Bridges" album. It's sure to be a blockbuster CD and Ron needs some help to raise the money for it. I have attached some information I just received from Ron including the site address so you can hear Ron's stories and also contribute to support this wonderful musical project. Just wanted to update you on my John Lennon jazz tribute album "Kickstarter" campaign, and thank those who've contributed. I can't tell you how thrilled Angela and I are at the positive response we've received. We are currently in Week 3 (of 6) and we are approaching 50% of our goal of $5,000, which is amazing, but we have to get to 100% to receive any of the pledges. So please for this next push, forward the below link to any and all of your friends. Also, I would love to give recognition to our donors via my Facebook and Kickstarter page, but I've been hesitant to do so, without your permission. So for those who have already donated (or will) please let me know if you have any objection to your name being posted. Thank you again for your continued support in helping me create my "dream" album. In a normal month, I receive 10 to 12 new CDs to review. Usually, I discover at least a couple that I really like. The CD I received today titled, "Where Do You Start" with vocals by Bill Cote accompanied by the wonderful Tamir Hendelman Trio is stunningly good! Bill Cote is a successful businessman and lawyer who has been singing and performing informally for quite a long time. He has been an avid Jazz supporter and counts among his close friends several Jazz luminaries. It is clear that he must have been a very good listener because his deep rich voice and phrasing skills are polished and professional. His voice and impeccable phrasing reminds me of the great Johnny Hartman. The songs he personally selected are nothing short of sensational. Bill shared that he had been thinking about these songs for years and "Each song resonates with him for a myriad of different reasons". Bill's singing fills each song with a deep emotional connection that gives life to the melody and the lyrics that transfers to the listener. My only question to Bill Cote is "Bill, why did you wait so long to record your first CD? Tamir Hendelman, the award-winning pianist who is a regular in the spectacular Clayton-Hamilton Jazz Orchestra did all the wonderful arrangements. Tamir is one of my favorite pianists ever since I first heard him playing with The Clayton-Hamilton Jazz Orchestra. His arrangements are perfect, and his piano solos are impeccable examples of great Jazz playing. Joining Tamir are a group of some Southern California's best Jazz musicians, including Joe LaBarbera on Drums, Bob Sheppard on Sax and Flute, Graham Dechter on guitar and Martin Wind on Bass. This is an award-winning CD that will be released on April 15, 2014. If you love songs out of the "Great American Songbook" sung by a seasoned singer who can make lyrics come to life, then you must buy this CD. As a side note, Bill has included 16 cuts on this CD. I haven't seen this many cuts on a CD in 20 years, and it still works real good for me. 2. "When Do The Bells Ring For Me"
4. "What Are You Doing The Rest of Your Life"
5. "LA State of Mind"
6. "Who Can I Turn To"
8. "Where Do You Start"
9. "Sunday In New York"
11. "When Sunny Gets Blue"
12. "Never Let Me Go"
13. "On A Clear Day"
14. "Spring Can Really Hang You Up The Most"
15. "I just Found Out About Love"
The Purple Room is a new supper club re-born in a room that has deep historical musical roots in Palm Springs. The old Purple Room established in 1960 was famously the home to Sinatra's Rat Pack. During the 1960s, the Purple Room was the rallying spot for Sinatra and his famous friends. They sang, they played and just had fun there. Now the Purple Room under new management has transformed the Purple Room into it's former self. The owners of "Trio Restaurant" have applied their capital and restaurant skills to create a great new supper club with live music 6 days a week. On Tuesday nights starting at 6:30 pm Michael Dees sings and plays the drums with David Ring and Danny Flahive who was sitting in tonight for Larry Holloway. Michael Dees is a relatively new singer in the Desert, but he has already added to the music scene with his beautiful voice, impeccable timing and Sinatra-like phrasing. Michael is one of the most impressive singers I have heard in many years. In addition to singing some of the greatest songs from the Great American Songbook, like "My One and Only Love", "I'm Old Fashioned" and the "The Way You Look Tonight", Michael also sings some of the songs and lyrics he has written. His songs are stunningly beautiful and stand up perfectly against the classic songs listed above. He is a brilliant musical talent and I highly recommend that music lovers in the Desert get to the Purple Room to hear him sing. David Ring was playing Keys tonight and every time I hear David I gain more and more respect for his musical talents. David plays Jazz that is new and inventive unlike any other of the currently playing in the Desert. He supports Michael's voice and phrasing perfectly! 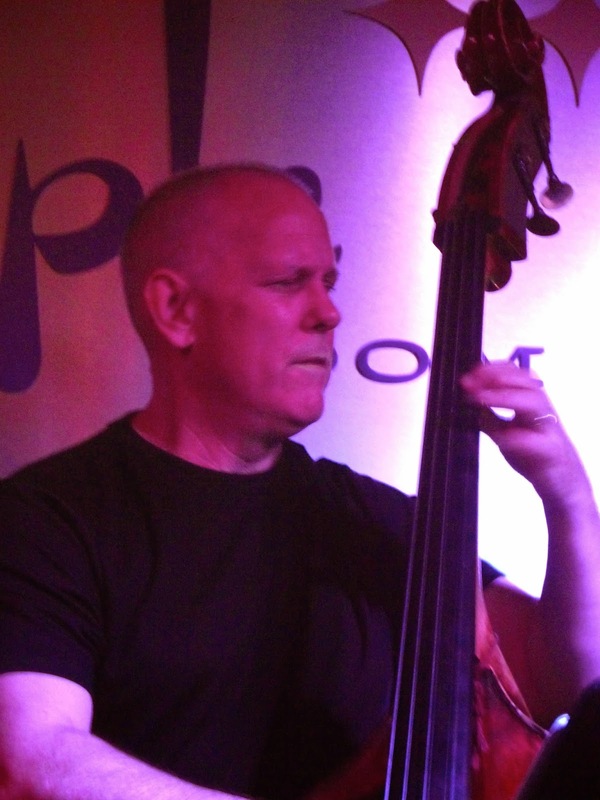 Danny Flahive was a joy to listen to on Bass. Danny has a huge following of supporters in the Desert and for good reason. Danny always plays with emotion that supports the message of the lyrics. The Purple Room has an early bird dinner from 3:00 PM to 6:00 PM that includes a 3-course dinner for $19.95. This is the best deal in the Valley, the great sounds of Michael Dees, David Ring and Larry Holloway and a 3-course dinner for about the cost of a tip at many other restaurants! 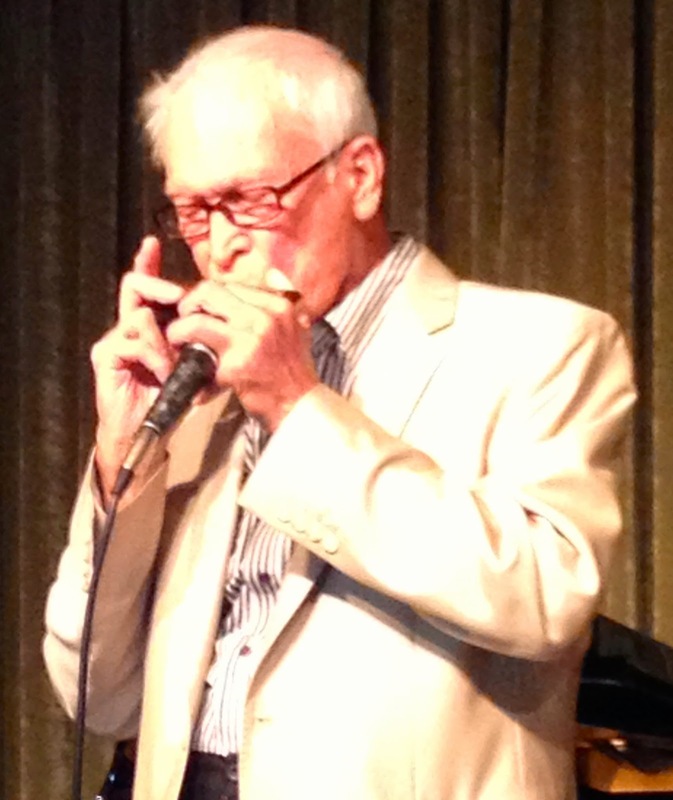 Ron Kalina is very special to most of the musicians and Jazz lovers here in California because he is one of the absolute best harmonica players in the country. He performs every week at many of the local venues in the Desert. 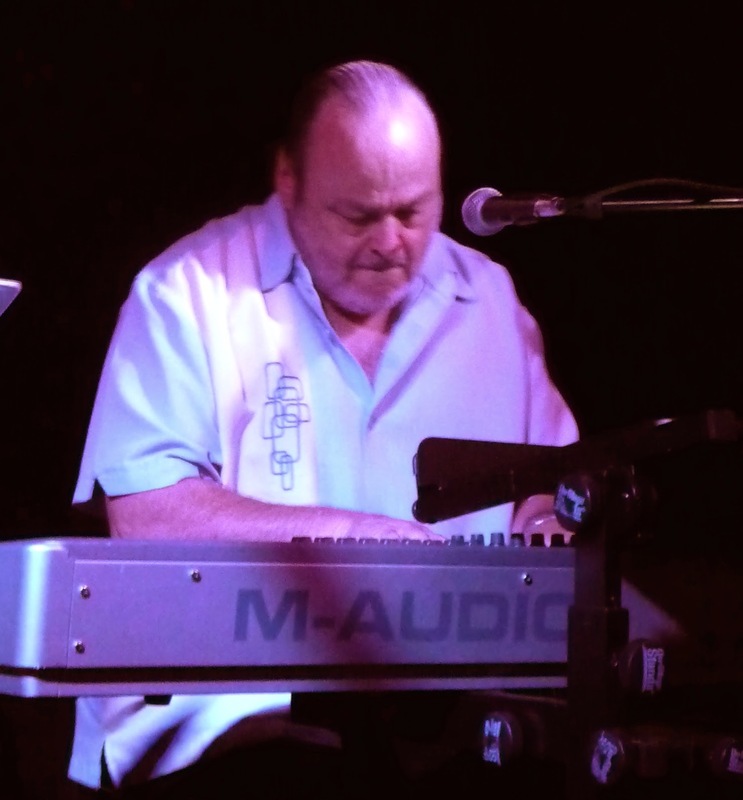 Ron also plays piano and sings but his sweet spot is playing the greatest ballads out of the "Great American Songbook" on harmonica. Recently I was with some of my some friends, and I asked them if they liked harmonica music? They answered quickly that the sound of a harmonica was not something they enjoyed. I can understand this because until you hear a musical genius like Ron Kalina play ballads, you really can't appreciate how incredible he makes a harmonica sound. I played a couple of songs from Ron's "Odd Couple" CD and they were stunned. Audiences hearing Ron play for the first time are many times taken by surprise at how adept he is at playing and the sound he produces. 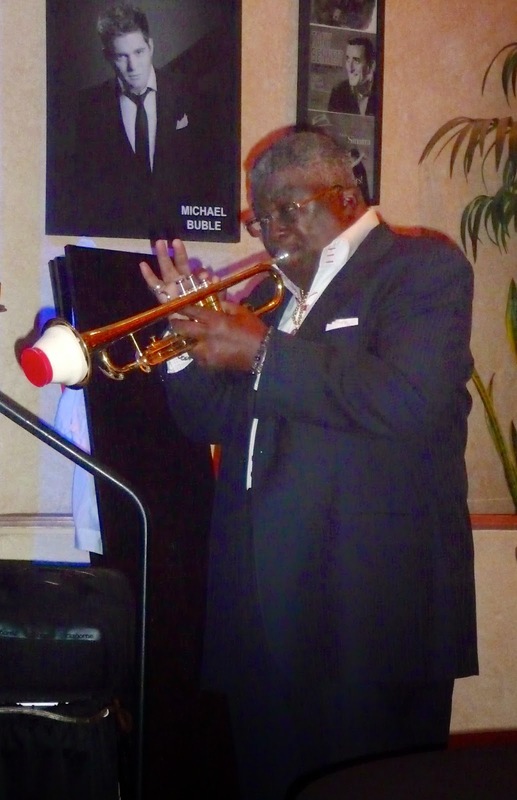 Ron plays at the Indian Wells Resort Hotel every Monday from 6pm to 9pm and I encourage all my Jazz loving friends to go to hear him! 3. "It Never Entered My Mind"
4. "Do Nothing Till You Hear From Me"
Dave Keller is one of the finest young soul and blues players of his generation. He is releasing his new CD, "Soul Changes" on April 29, 2014. As soon as I played the first song on this CD, "Searchin' For A Sign" written by Dave, I knew I would love this CD. 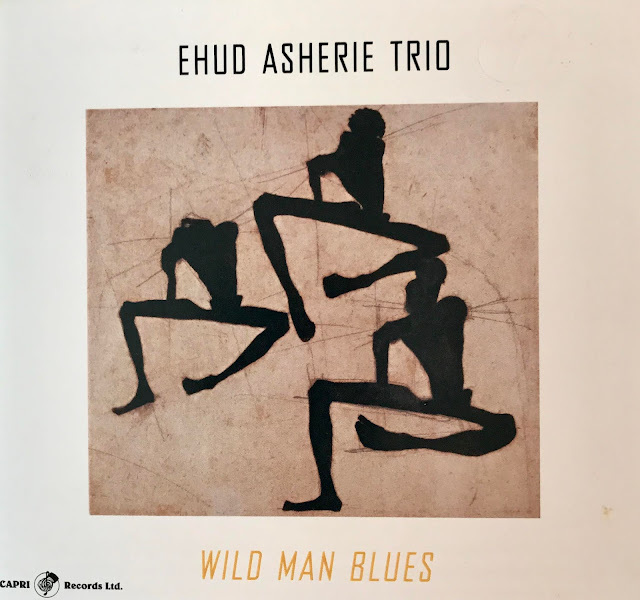 It has a comfortable feel and connection with traditional Blues of the past, and, yet, still sounds fresh and new. Dave Keller is a remarkably talented singer/guitarist and songwriter. Dave wrote the first 6 cuts on this CD. The CD's producer, Bob Perry, arranged to have the first 6 tunes written by Dave recorded at Willie Mitchell's Royal Recording Studio in Memphis. This is the studio where Al Green recorded all his major hits. There is something about recording in a studio that has produced legendary recording stars. It has a tendency to connect the past with the present. Perry also arranged to include on this CD two of Green's original recording backup group, Leroy Teenie and Charles Hodges who are known as the "Hi Rhythm Section" and Stax stars Lester Snell on Keys and Bobby Manuel on Guitar. On this CD, Keller gets to put all his remarkable talents on full display. His guitar playing is as good as any blues guy I have heard and his songwriting is without question soulful. While the first 6 songs on this CD were recorded at the Royal Recording Studio in Memphis, the additional 5 cuts were recorded in Brooklyn backed by the "The Revelations". The remaining cuts were chosen from Blues treasures from the glory days of Soul including gems by "The O'Jays, Bobby Womack, Candi Sation, Otis Clay and the Patterson Twins. All and all this CD will thrill any Blues fan looking for traditional Blues sung by a singer with a soul voice and backed by some of the most experienced Blues playing today! 1. "Searchin' For A Sign" 2. "17 Years"
3. "Old Man's Lullabye" 4. "I Wish We'd Kissed"
5. "Lonely And I" 6. "One More Time"
7. "It's Too Strong" 8. "Back In Love Again"
9. "Don't Look Back" 10. "Heart On A String"